It's not a secret that our tools for digesting information at Tufts are lackluster at best. Building new ones can have a huge impact across the university. Last year, James Roseman built a class scheduler on top of his Tufts Text website. There's a lot left to do to improve software at Tufts. Prizes include some smartwatches, and some really sweet coffee table swag. We're working hard to get you guys some cool data sets to visualize, and some Arduinos to build with. Anything and everything can be entered here. Prizes include Chromecasts, Windows swag, and more. The "Hack for Good" prize (sponsored by Galatea Associates) is a best in show award given to the team that assist NGOs in their missions or use data in a creative way that helps people. Preference will be given to those who work in collaboration with Tufts 180 Degrees Consulting. Prizes include a Galaxy Tab, amazing solar-powered lamps, and more. 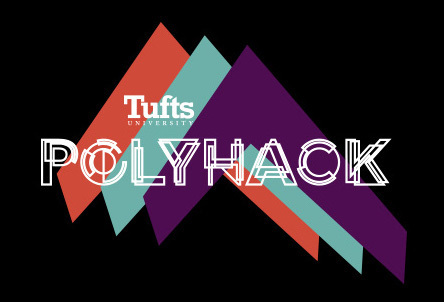 The Tufts Fall Hackathon is a 24 hour coding event, where Tufts students of all years and skill levels can come together to make ideas into reality. This year, we're really excited to announce collaboration with some other on-campus groups, so we can diversify the event as much as possible. We also have some really great sponsors this year. KAYAK, Facebook, Google, Microsoft, and some other awesome companies are generously donating tons of money, swag and prizes to the hackathon. Whether you're in Comp 11 or doing a senior design project, people of all skill levels are welcome! Must be a Tufts student to enter. Whatever you built at the hackathon!